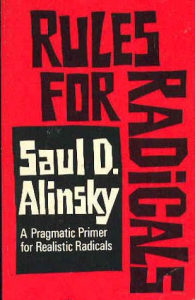 ALINSKY, Saul David, 1971. Rules for Radicals — A Pragmatic Primer for Realistic Radicals. Vintage Books. ISBN 0-679-72113-4.